Build up the most prestigious kingdom to win the Queen's favors ... but always be aware of the dragon! Queendomino is a follow up to 2016's Spiel des Jahres winner Kingdomino, in which you claim domino-style tiles in order to build up your kingdom. Claim wheat fields, forests, lakes, grazing grounds, marshes, and mountains while your gallant knights bring you riches  — and if you make sure to expand the towns on your lands, you will make new buildings appear, creating new strategies! 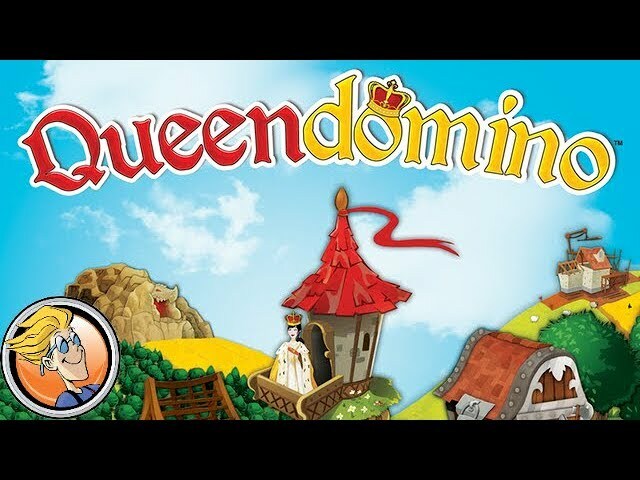 Buy Queendomino either as an expansion to Kingdomino or as a standalone title - combined you can add complexity and challenge to your game while retaining the simple rules and timeless charm.